In the wake of repeated promises and assurances from the Trump Administration, but no actions, ethanol stakeholder groups are running out of patience. In a joint letter to President Trump today, the American Farm Bureau Federation, National Corn Growers Association, National Farmers Union, National Sorghum Producers, American Coalition for Ethanol, Growth Energy, and Renewable Fuels Association urged the administration to act immediately to restore the integrity of the Renewable Fuel Standard (RFS) and allow year-round sales of E15 and other mid-level ethanol blends. The groups also expressed concern that any benefit from year-round E15 sales and proper implementation of the RFS could be nullified if refiners are given further regulatory bailouts that undercut the spirit and intent of the law. 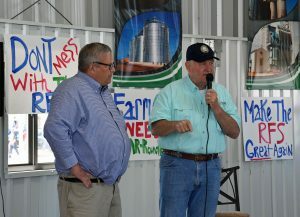 The letter follows comments made by Secretary of Agriculture Sonny Perdue on Aug. 29 that President Trump was anxious to get an answer on the RFS and E15 to announce. Last week, which was the week Secretary Perdue said the president wanted something to announce, the secretary told reporters,”We’re working feverishly to resolve the RFS issue…I think we can resolve it to the satisfaction of both our ethanol industry as well as our refinery industry,” Perdue said. 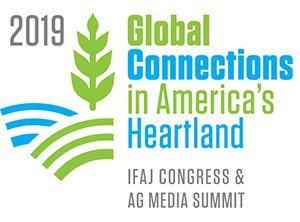 But the farm and ethanol groups say time is running out for rural America, as corn prices are below the cost of production, while ethanol prices, RIN credit prices, and ethanol profit margins are falling.